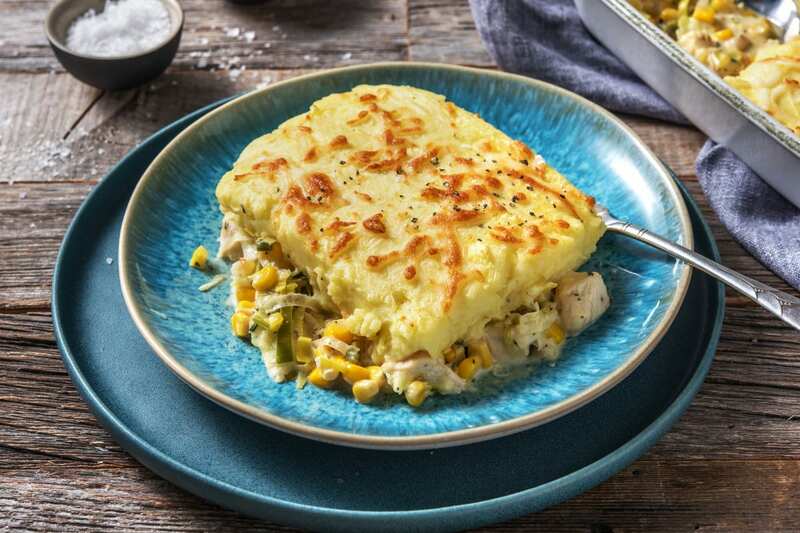 This warming and hearty Chicken and Sweetcorn Pie & Mash is bursting full of flavours and makes the perfect dinner night option, from HelloFresh. Bring a large saucepan of water to the boil with a pinch of salt. Meanwhile, peel the potato and chop into 2cm chunks. Trim and peel the parsnip and chop into 2cm chunks. 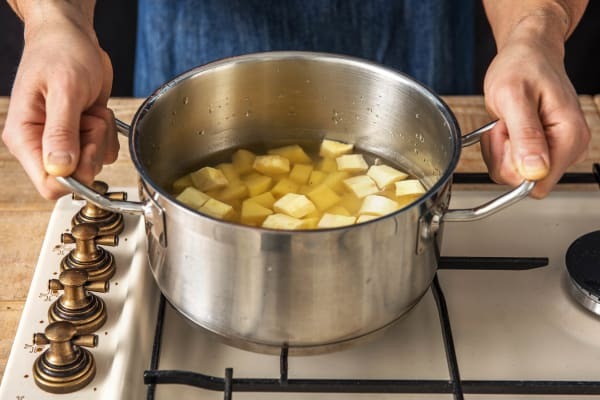 Add the potato and parsnip to the pan of boiling water and cook until you can easily slip a knife through, 12-15 mins. Drain in a colander and return to the pan, off the heat. Meanwhile, heat a drizzle of oil in a large frying pan on medium-high heat. 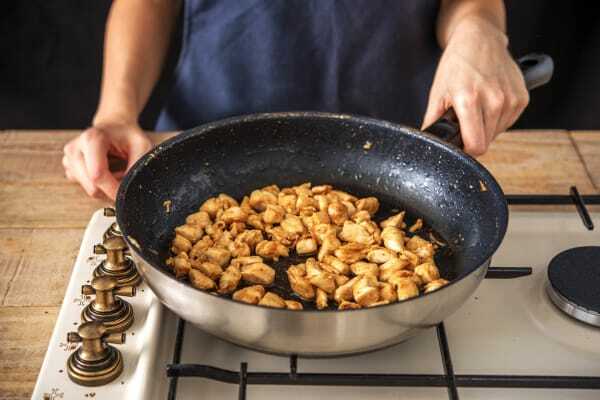 When hot, add the chicken and fry until starting to brown, stirring occasionally, 5-6 mins. While the chicken fries, trim the root and the dark green leafy part from the leek. Halve lengthways then thinly slice widthways. Pick the tarragon leaves from their stalks and finely chop (discard the stalks). Stir the leek and dried thyme into the chicken and cook for another 2-3 mins. Stir in the crème fraîche and stock powder, bring to the boil then reduce the heat and simmer for 2-3 mins. Meanwhile, drain and rinse the sweetcorn in a sieve. 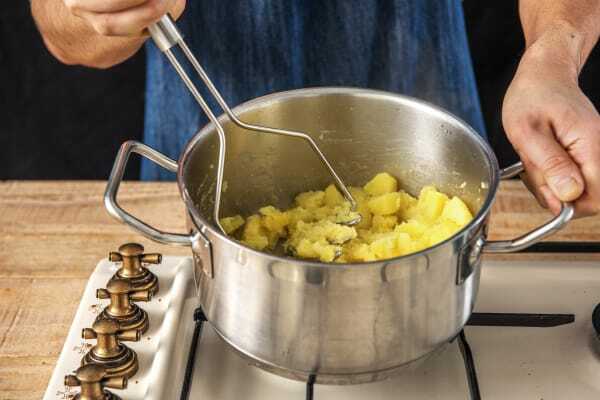 Mash the cooked potato and parsnip together until smooth. Season with a good pinch of salt and pepper. 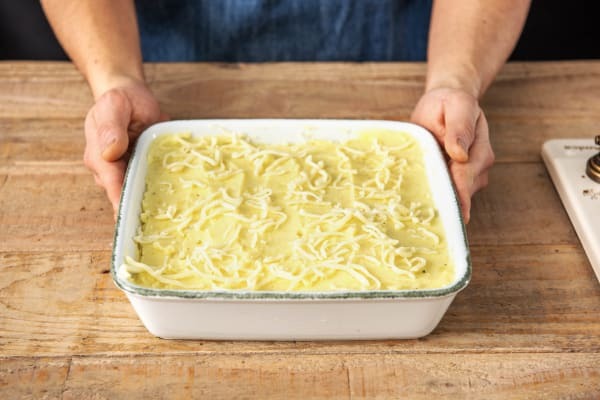 TIP: Add a knob of butter or a splash of milk to the mash if you have some! Preheat your grill to high. 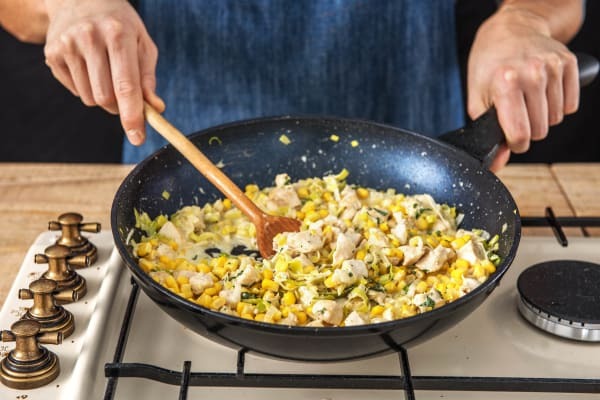 Stir the sweetcorn and tarragon into the chicken mixture (tarragon has a strong flavour so add as much or as little as you like). Season to taste with salt and pepper then transfer to an ovenproof dish. Spoon the mash on top and spread out so it covers the filling evenly. Grate the cheddar cheese evenly over then grill until golden and bubbly, 4-5 mins. IMPORTANT: The chicken is cooked when it is no longer pink in the middle. 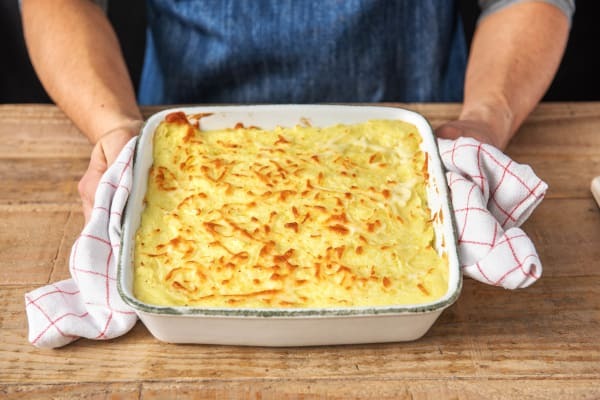 Serve the pie and hidden parsnip mash. Enjoy!